Featured deals are hand-picked by our Activities Specialists as the best value in Bocas Del Toro. 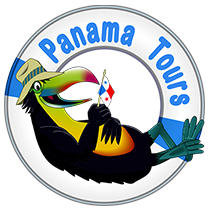 Bocas Town ATV Rentals and Bocas Del Toro ATV Tours on Isla Colon. Whether a catamaran, a sail boat, or a fast motorboat is your style, Bocas Del Toro boat tours has something for everyone. Red Frog Beach is home to the best canopy tour in Bocas Del Toro. Most economical, safe and reliable way to travel from Bocas Del Toro, Panama to Puerto Viejo or San Jose, Costa Rica. Bocas Del Toro is a scuba diving Mecca. Whether you are a certified diver or want to learn to dive in Panama, there are hundreds of dive sites in Bocas Del Toro to explore. Island chains, coral reefs and great water conditions come together for great snorkeling tours in Panama's Bocas del Toro and Western Caribbean coast. Surfers from all over the world flock to Panama to surf Bocas Del Toro and water sports are king in this Caribbean archipelago. Shared Shuttles, Private Transfers, Smart Connection Tours, Car Rentals and more!! Select the transportation option in Panama that best suits your travel style. The highlight of the Northwest Caribbean of Panama is the archipelago of Bocas Del Toro. Located near the border of Costa Rica, this stop off point for travelers exploring Central America has evolved into probably the most visited areas for tourism in Panama aside from the Panama Canal. The main island of Colon hosts Bocas Town, which is filled with restaurants and shops built out over the water, and also offers a vivacious nightlife scene that is legendary among backpackers. During the day most beaches are accessible by bike or bus and there are also ATV rentals to move around for those more adventurous. Departing the Isla Colon you can explore the Caribbean and the best it has to offer. Just a short water taxi away you can find yourself in a whole other world, Isla Bastimentos. With its protected marine park, Bastimentos National Park is a safe haven lined with mangroves protecting the coral reef and the perfect beaches for sea turtles nesting grounds after their long journey from Nicaragua. A little further out is the Zapatilla Cays, some of the most breathtaking islands in Bocas Del Toro. Whether by water taxi, sailboat, catamaran or the watersport of your choice, we recommend you explore as much of the archipelago as you can fit into your Panama vacation. Snorkel along the edges of the mangroves surrounded islands enjoying the spectacular coral reef and fish only found in this protected region of Panama. Sail out and witness the dolphin mothers teaching their young to swim and hunt in the shallow protected waters of Dolphin Bay. Or surf the backside of Colon or Carenero Islands. Land or sea, our Activities Specialists can help you choose the best options in Bocas Del Toro for any activity level and any budget. With The Real Deal Tours, your adventure is just a click away!